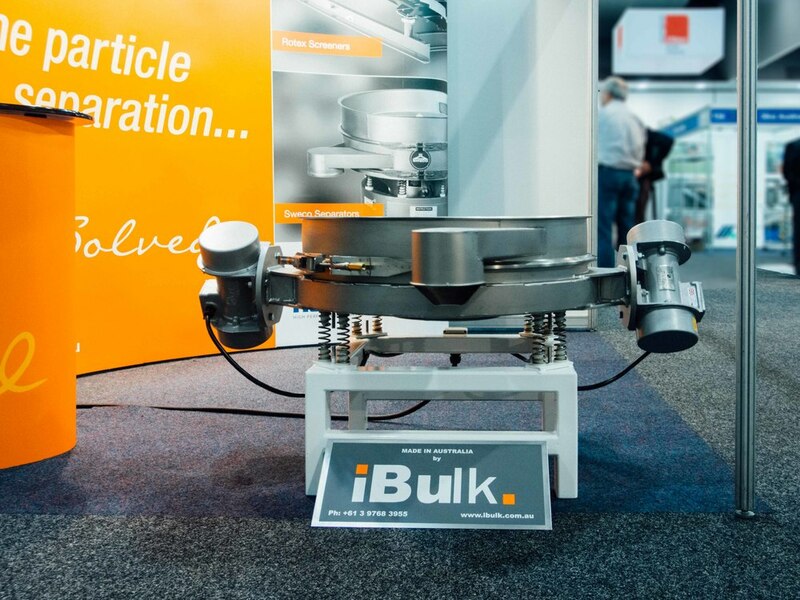 Circular screeners are ideally suited for the separation of solids from liquids or segregating dry materials into various particle sizes. It is also renowned worldwide for its dependability, durability and quality. The Sweco Separator is a vibratory screening device, which vibrates about its centre of mass. The Sweco Separator’s particular vibrating motion is accomplished by eccentric weights on the upper and lower ends of the motion-generator shaft. These weights create vibration in the horizontal and vertical (tangential) planes. When the movements on these two planes are combined, it results in a spiral motion of product over the screening area. The speed and spiral pattern of material trajectory over the screen cloth can be set by the operator for maximum throughput and screening efficiency of any screenable product. Particles as fine as 400 mesh (37 micron) can be screened using this machine. Also, up to five fractions simultaneous classifications can be obtained by incorporating up to four screening decks. The machine can be used to scalp products at very high capacities. Effectively segregates dry materials into various particle sizes. Simple and efficient design requires less kilowatts. Other features include long screen life and ease with which screens may be changed. Dust covers are also available for any completely sealed process. Sweco screeners are also available in a low profile design. 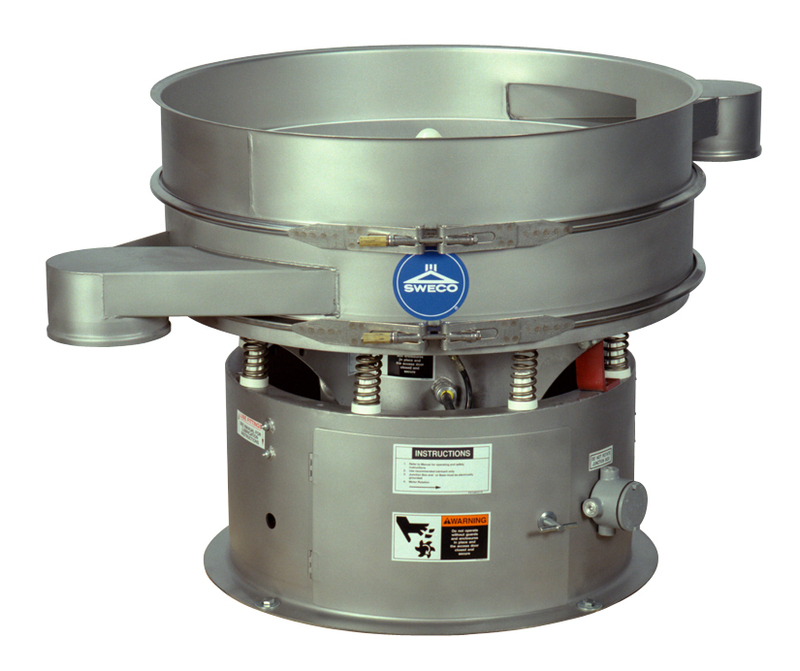 The Sweco circular screener has a very small footprint and doesn’t require special flooring or foundation. Sizes are available in 460, 610, 760, 1220, 1525 and 1830mm (18, 24, 30, 48, 60 and 72 inch) screen diameters. Wet or dry … heavy or light … coarse or fine … hot or cold.